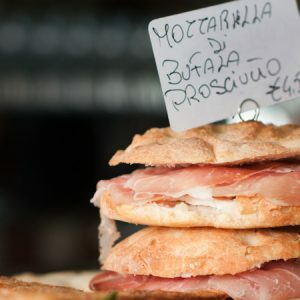 This age-old Tuscan dish has a name that illustrates that wonderful connection between food and language that Italy is so good at. Sugo finto, literally “fake sauce” or, more appropriately, “fake ragu” (as ‘sugo’ is used as often if not more than the borrowed word ‘ragu’ in Tuscany), is so-called because it is a meatless ragu. Born of the poor peasant kitchens when meat, particularly beef or veal, was a rare and special ingredient, this dish is sometimes also known as sugo scappato, implying that something had ‘escaped’ before it made it to your plate. There are many examples of this ironic ingenuity (and in some cases a sign of deep misery and poverty) of naming your dish after something that’s not there all over Italy’s long peninsula, suggesting that you should use your imagination while eating it, perhaps. From the south, for example in Puglia you can find dishes like Zuppa a pesce fijute, fish soup – where the fish are, of course, fugitives and have luckily escaped being your dinner. It’s nothing more than a tomato soup flavoured with garlic, herbs and perhaps a few seashells or pebbles thrown in to give the dish the scent of the sea. 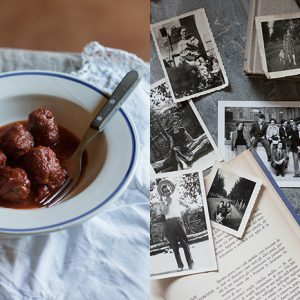 In the north, in the town of Bergamo, you can find a popular nineteenth century dish of small game birds known as oselì scapàcc in dialect (uccelli scappati in Italian, or ‘escaped birds’), which Roman cookbook author Ada Boni proposes is so-named because the birds escaped at hearing the first shot. In her scenario, the wife of the unsuccessful hunter, left with the rest of the ingredients – ham, local fresh cheese, sage – used them instead with thin, small slices of veal rolled and skewered to keep the ingredients together, cooked in a little butter and cream (a little like these wonderful bombette from Puglia or the ones they do in Tuscany with pancetta instead of ham, cooked in white wine instead of cream). Who’s going to miss the birds now? Another ironic one is Tuscany’s trippa finta – fake tripe. It needs not be said that tripe itself was one of the specialties of la cucina povera, a thrifty ingredient if there was one. This dish of tomato sugo replaces the offal with a frittata made of eggs and Parmesan, cut into characteristic strips that resemble those of Florence’s favourite, trippa alla Fiorentina. To not be able to afford even tripe meant you had come by some really hard times. Eggs may have been easier to come by if chickens were kept. But back to our sugo finto. Today most of us are lucky to not have to consider a cheaper replacement for tripe. But there is something in still making these dishes that makes them worthwhile even for the modern dinner table. 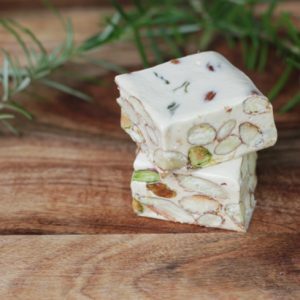 They’re cheap (something that no one’s going to argue about, lets be honest), they’re simple and they’re something to make when there’s not much in the fridge or the pantry or on a midweek night when you haven’t had time to go shopping or it’s been a few days since the weekend markets. Not to mention the fact that there is joy in carrying on old traditions. Sugo finto is a wonderful dish to know as it uses some of the very basics of Tuscan cuisine – the soffritto, a vegetable base used for many sauces and stews of equal amounts of onion, celery and carrot (get this right and any dish you make with this as the base will be spot on) and a simple but delicious tomato sauce of fresh, ripe summer tomatoes (or, in other seasons, canned peeled tomatoes). It is also completely vegetarian and it’s even vegan. 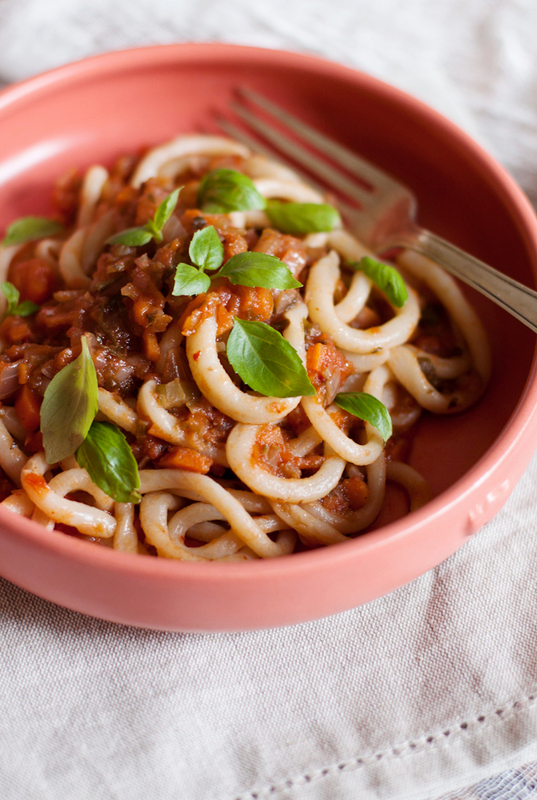 So any of you vegans out there who are guilty of buying those pre-packaged, ultra-processed “vegan bolognese” pasta sauces with a list of unrecognisable ingredients longer than this paragraph, stop what you are doing and try this healthier, real, homemade, Tuscan version, full of delicious fresh vegetables instead. 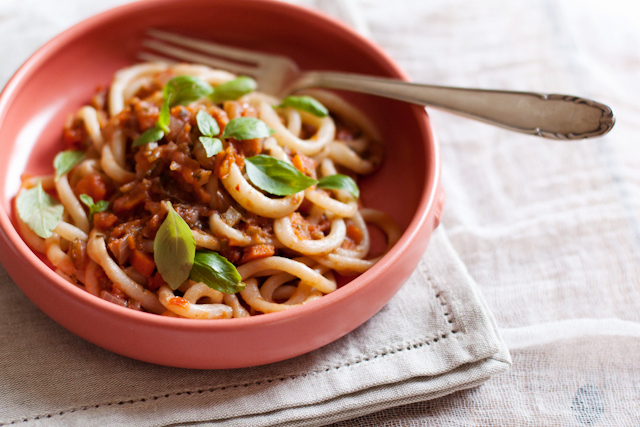 For meat-eaters, this recipe is also the base for a perfect ragu – just add meat. Beef mince or (for sugo bugiardo, so-called “liar sauce”) pork sausage meat with casings removed can be added after the soffritto begins to soften and browned before adding the wine. You could use your favourite dry pasta, but I think the perfect pasta to serve with this sugo finto is some homemade pici, another ancient recipe whose origins come from the poor Tuscan countryside. Pici must be handmade, there are just no two ways about it. 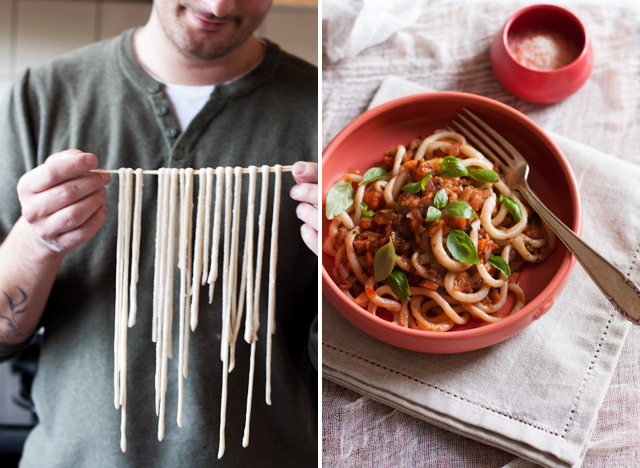 Flour and water, hand-rolled into thick noodles. Humble simplicity. Real pici are not perfect; one noodle might be thinner in some places, thicker in others. 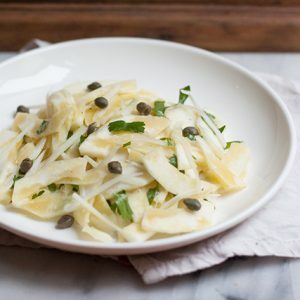 They have a wonderful bite to them that is quite different from other types of fresh pasta, almost chewy. Both parts of this recipe can be made ahead of time, but if you’re making it all to serve immediately, take into account you ideally need a good 30 minute resting time for the pasta dough and although you can do a quicker version of the sugo finto, it gets better when it’s been cooked down for at least 30 minutes, especially if using fresh tomatoes. Prepare your fresh tomatoes (if using). Score their bottoms and place them in a pot of boiling water for half a minute or so to blanch them. Remove and place in a bowl of ice cold water. Peeling the skins should now be a breeze. Chop into quarters, remove the seeds and then chop into small (1cm) pieces. Set aside. Chop the onion, celery and carrot finely and heat gently in a large skillet with a couple of tablespoons of olive oil. You can also add the upper part of the parsley stalks, chopped finely. Season with salt and pepper and let the vegetables slowly cook and soften, giving a stir every now and then. When the onions have turned unmistakably transparent and sweet and the carrots are soft, pour over the red wine. Continue cooking for a few more minutes or until slightly reduced, then add your chopped tomatoes and depending on how juicy they were, you may need to add ½ cup or so of water. Let simmer, stirring occasionally and keeping your eye on it for about 30 minutes (again, if needed during cooking you can add small amounts of water) or until the sugo has become thick and rich. Taste for seasoning again, adjust if needed, then set aside until the pasta is ready. Mix the two flours together and on a clean surface, forming a ‘pyramid’ with the flour. Create a ‘well’ in the centre of the pyramid and pour in the warm water and oil slowly. With your hands, begin by carefully mixing the flour and water together to combine until you get a smooth dough (dust on some extra flour if it is too sticky). Set the dough aside to rest, covered, for at least 30 minutes. Separate the dough into two pieces and roll out the dough until it is about 2mm thin. Cut long strips, about 7mm wide and roll out each flat strip until you have thick, worm-like noodles. Set aside the noodles on a surface dusted with plenty of semola until you are done. Cook the pasta in the boiling, salted water until al dente, about 3-4 minutes, depending on the thickness of your pici (taste it, it should be slightly resistant, even chewy, but not taste like flour). Toss the pici through the sugo finto and serve immediately, with a handful of grated pecorino or Parmesan cheese, if desired. I’m always thrilled when there’s a new vegetarian/vegan recipe in your blog! You’re always one of the people I think of when I post vegetarian recipes, Sara! This is an amazing dish! I love it! 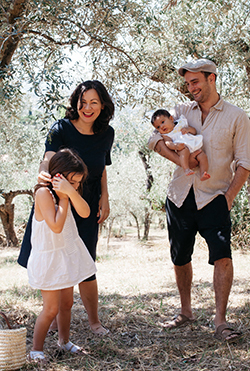 Last autumn Giulia took us to to Bagno Vignoni to a restaurant where we had homemade pici! Oh, unbelievable delicious! We even bought the pici maker so it’s about time to make it! Beautiful pici! This vegetarian pasta dish is so mouthwatering. 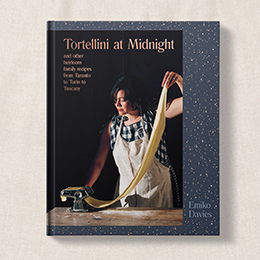 I do enjoy the stories that you tell surrounding your knowledge of so much Italian food. The stories are wonderful and the photography is always superb! Again a great story! I love the tale about the birds flying away after the first shot, escaping their fate of becoming dinner! Really want to try and make it myself! They’re also so much fun to make – rolling the “snake” shapes of each noodle really reminds me of being a little girl and playing with clay or play-dough! I love it! I made some pici recently, and it’s true…they are chewy and totally unique. Love the ragu and LOVE your site. I definitely find inspiration here for my own! Ohhh, now I am hungry. Adorable dish, and I think you gave me the final kick to make Pici myself. I will let you know about the result. Great article and recipes, I had pici in a terrific restaurant in Siena 12 years ago and am glad to find a recipe for it. Now if I could only remember the type of sauce with which it was served. My favourite Sienese recipe for pici is “pici con le bricole” – in other words with breadcrumbs (and garlic, pepper and plenty of pecorino cheese). Not so much a sauce as absolute simplicity and deliciousness! Hi Peter, as described in the recipe above, the parsley is added along with the regular ‘soffritto’ of onion, celery, carrot (I use about the first two inches of the upper part of the stalks, closest to the leaves). It’s optional really but basil leaves, if in season, are lovely just fresh as a garnish on top of the pasta right before serving (as in the photos!). Mamma and I have just made pici – we followed your recipe (almost, with the omission of the semola for no reason other than we had already started the dough…) they seem good but have yet to cook them. Question for you: have you ever tried freezing them, freshly made?